The Calendar control is now moved to samples to allow customers to continue using this data region for displaying date-based data or events in a calendar format. CalendarComponent: It implements ICustomReportItem interface to render Calendar, IDataRegion interface for data binding, and IImageRenderer interface to render calendar content range to the canvas. 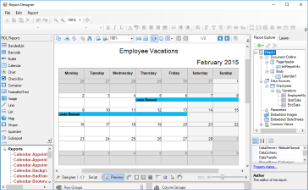 CalendarDesigner: The designer is inherited from CustomReportItemDesigner class. It implements property initialization, glyph drawing, and evaluation utils. TestDesignerPro: This is the default start up project. On running this project, an RDL report with a calendar is displayed on the designer. 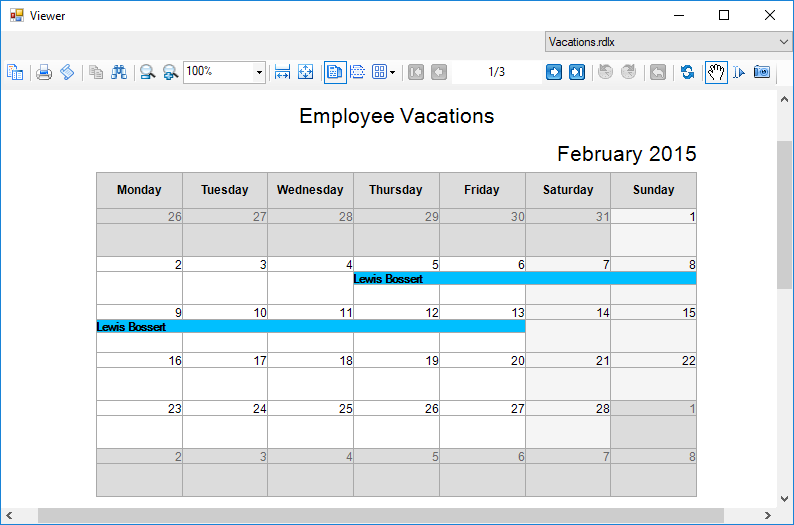 You can also drag and drop and use the Calendar data region available on the toolbox. 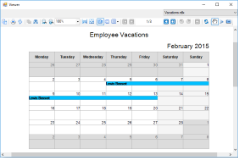 TestViewer: On running this project, a calendar is rendered on Windows Forms Viewer. Tests: It contains code for proper functioning of the sample. 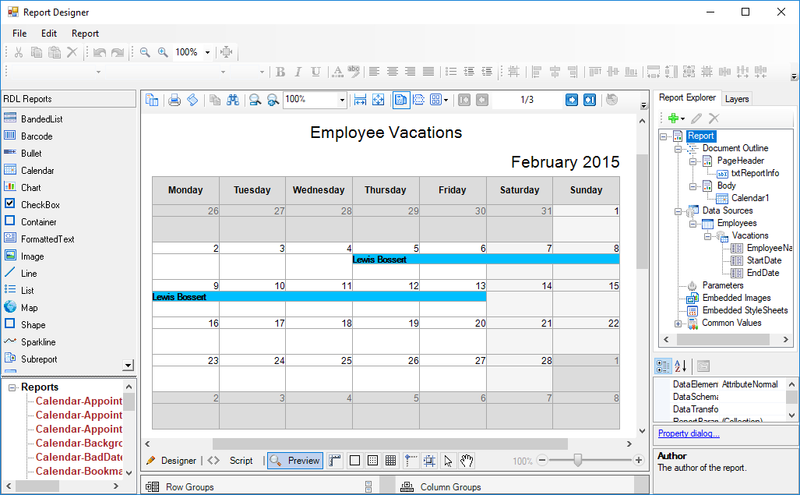 Customers who are required to use calendar should now compile and distribute CalendarComponent assembly and those who are required to design reports with charts, the CalendarDesigner assembly. Binding should be done through GrapeCity.ActiveReports.config file (see test applications).